Cotton production, once considering a key culture for the rural areas of Azerbaijan, now enjoys the chance to revive, following the gradual decline during several past years. In the 1970-1980s, cotton production was of crucial importance for the national economy, accounting for approximately 25 percent of agricultural revenue. At the time Azerbaijan harvested a million tons of cotton per year. Now, the country is still trying to compete for its place in the sun. 2016 is expected to be a period of development of cotton growing in the country, as the government is keen to support cotton production to give a new life to this industry. As of October 17, Azerbaijan produced 38,890 tons of cotton, and this is 1.7 times more than the same period of last year. In total, this year cotton was sown in 52,060 hectares, and this is by 2.8 times exceeded last year's crop area. In the reporting period, the largest volume of cotton was harvested in Saatli region. Moreover, cotton-growing is developing in the south western region Salyan this year. Experts claim that the sector brings great incomes both to people and the state. Development of cotton growing, along with the solution of economic issues, is also a social issue, earlier said President Ilham Aliyev at a conference on the development of cotton-growing in Azerbaijan. He said that about 70,000 people will work on cotton fields of 24 regions this year, which means an increase in employment, adding that next year, cotton production will lead to the creation of more than 100,000 jobs. 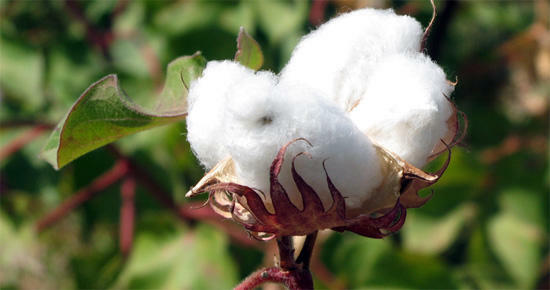 Cotton is regarded as an strategic product and it is not by chance that it is called “white gold”. The restoration of cotton growing is expected to return its former glory back. This year, on the whole, cotton was sown on an area of 51,000 hectares and this is about three times more than last year. The country has big plans for next year and the preparations for 2017 have already begun. The government is continuing to support farmers who are planting cotton. At present, Azerbaijani scientists are working on creating more productive and resistant strains of cotton. Azerbaijan has imported new cotton harvesters and agricultural machinery of hundreds of denominations. This year, the country also increased the purchasing price of cotton by 20 percent. Meanwhile, President Ilham Aliyev signed an Order on state support of cotton production this September, awarding producers of cotton with grants in the amount of 0.1 manat ($0.06) for each kg of seed-cotton sold to processing enterprises.